There were a bunch more. Google and you'll find 'em. Needless to say, once those stories appeared I was deluged with requests for comment and clarification. In 1980 I wrote a novella called "Nightflyers." It was one of my SF/ horror hybrids, a 'haunted starship' story, set in my Thousand Worlds universe. ANALOG published the first version, which weighed in at 23,000 words and got a beautiful cover. 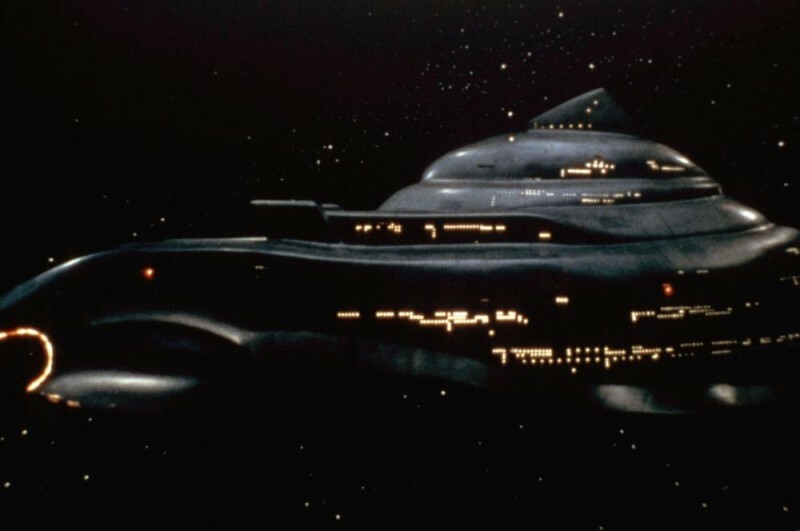 "Nightflyers" was nominated for a Hugo Award as Best Novella, but lost out to Gordon R. Dickson's "Lost Dorsai" at Denvention. (That's me and Parris at Denvention in the icon picture). Later on, at the urging of editor Jim Frenkel, I expanded the novella to 30,000 words, and it was teamed with Vernor Vinge's "True Names" as part of Dell's 'Binary Star' series, an attempt to revive the old 'Ace Double' concept. I liked the original 23,000 words version, but I liked the expanded version even better. The expansions gave me room to flesh out the characters more. (In the original version, most of the secondary characters did not even have names). In 1984 I sold the film and television rights to "Nightflyers" to a writer/ producer named Robert Jaffe and his father Herb. 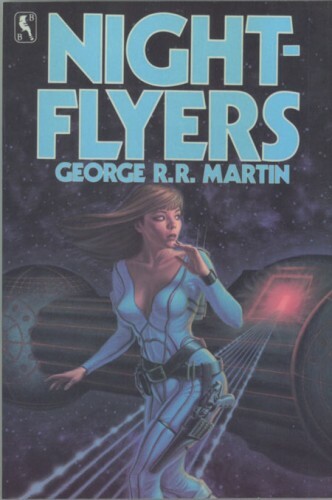 In 1985 "Nightflyers" was published again as the featured story in a collection of my short work called NIGHTFLYERS, a trade paperback from Bluejay Books. IN 1986 the Jaffes picked up their option and principal photography began on the film version of NIGHTFLYERS, directed by Robert Collector and starring Catherine Mary Stewart and Michael Praed. It was released in 1987. Jaffe's screenplay, I think, was based on the 23,000 word version of the story rather than the expanded 30,000 word version, since all the secondary characters had new names, rather than the ones I'd given them for the Binary Star edition. Which brings us to the present, and those news stories. This new NIGHTFLYERS television series -- actually, it is just a pilot script at present, still several steps short of going on-air, but I am told that SyFy likes the script a lot -- was developed based on the 1987 movie, and the television rights conveyed in that old 1984 contract. Robert Jaffe is one of the producers, I see, but the pilot script is by Jeff Buhler. I haven't had the chance to meet him yet, but hope to do so in the near future. Since I have an overall deal that makes me exclusive to HBO, I can't provide any writing or producing series to NIGHTFLYERS should it go to series... but of course, I wish Jaffe and Buhler and their team the best of luck. "Nightflyers" was one of my best SF stories, I always felt, and I'd love to see it succeed as a TV series (fingers crossed that it looks as good as THE EXPANSE). And that's all I know just now.